NBA player LeBron James is the second highest-paid player in sports. 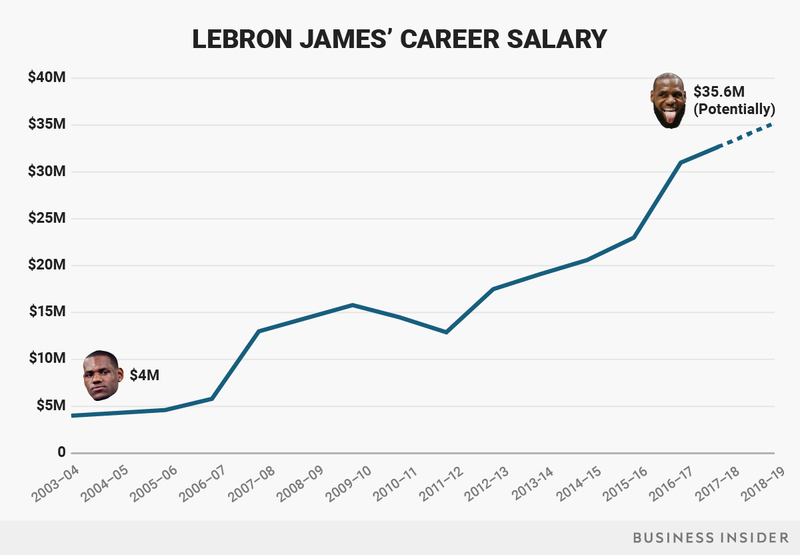 He's earned a total of $234 million in salary over his NBA career. Still, the majority of James' net worth comes from endorsement deals. It's good to be King James. 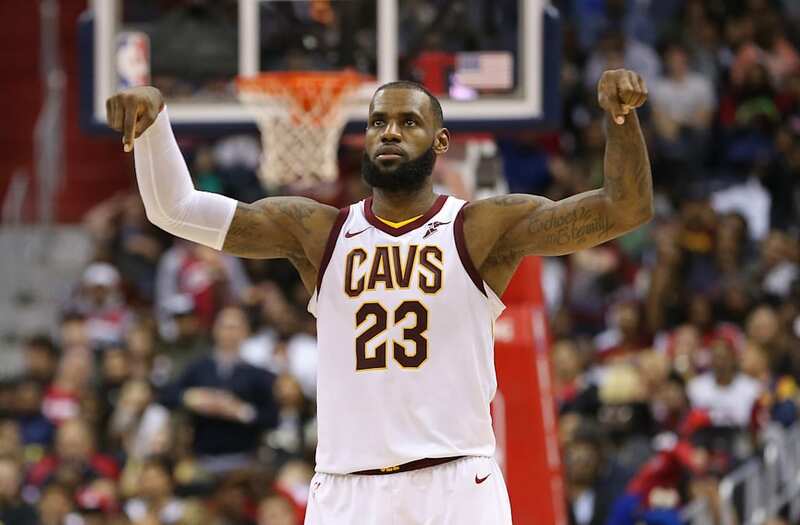 Cleveland Cavaliers player LeBron James, the second highest-paid player in sports behind Cristiano Ronaldo, has earned $234 million from 15 seasons in the NBA, according to Spotrac data. In his rookie season, James made $4 million as a 19-year-old fresh out of high school thanks to the league's rookie salary scale. This season, his salary is more than $33 million. James is currently in the middle of a three-season contract worth $100 million. He can opt out of his contract next season, foregoing a $35.6 million salary, to become a free agent. Check out the chart below to see the progression of James' season-by-season earnings, from 2003 to 2018. James currently holds career highs in assists per game, field goal percentage, and three-point percentage. James has won the MVP Award four times, appeared in the All-Star game every year since 2004, and made the playoffs 12 seasons in a row, and his teams have won the NBA championship three times. 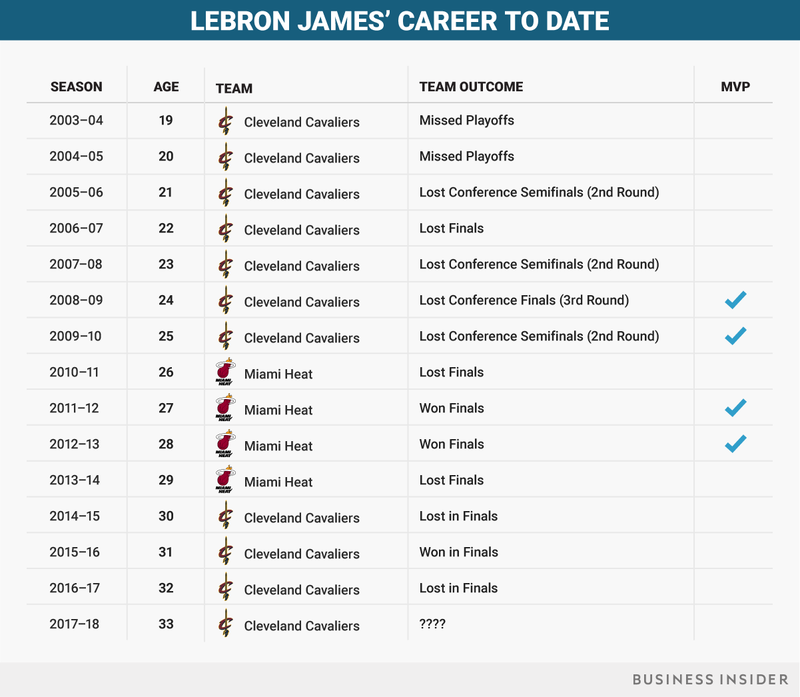 LeBron is sixth on the NBA's all time earnings list, eclipsed only by players with several more seasons played than him. Golden State Warriors player Stephen Curry is the only NBA player earning more than James in the 2017-2018 season. James took a pay cut in 2011 to recruit other talent like Chris Bosh to the Miami Heat but it didn't affect his earnings much, since he was playing in Florida, a state with no state income tax. Ultimately though, the bulk of James' wealth comes from endorsement deals. His lifetime deal with Nike is worth over $1 billion and he also makes money from Verizon, Beats by Dre, Coca-Cola, and Kia Motors, according to Forbes.